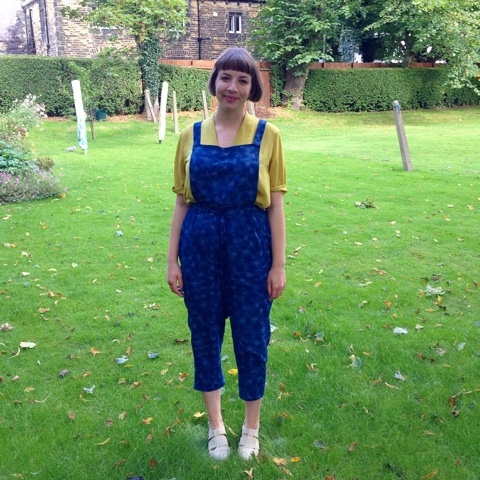 I've noticed the growing trend for wearing overalls, dungarees and pinafore dresses and I wanted in on it! Rather than committing to a shop bought pair, I decided to make a simple detachable bib and braces to transform my GBSB casual trousers. 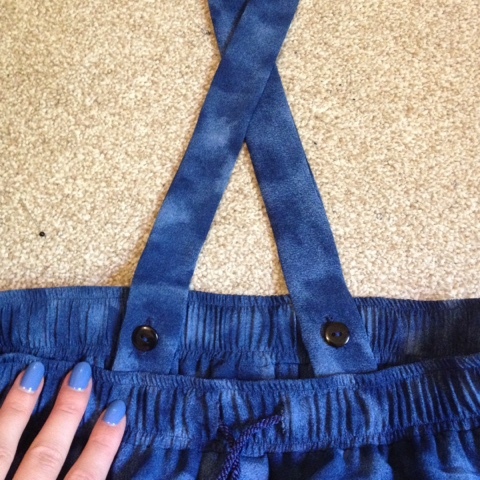 I took some photos along the way and wrote a step-by-step tutorial - the bib and braces button to the inside of the waistband, so if you'd like to make your own, this should work for almost any trousers or skirts. 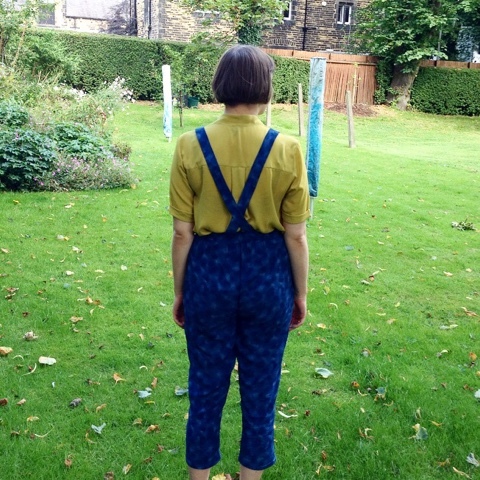 Try on the trousers (or skirt) that you're making the bib for, so you can see exactly where they sit on your waist. Take a measurement along the front of your waist for the width of your bib, and then take a measurement for the length of the bib - it should sit just above your bust. 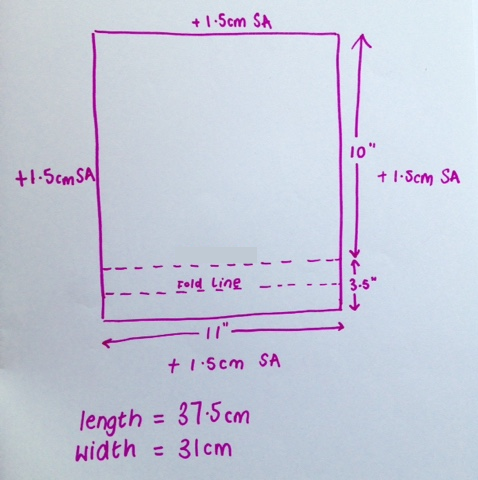 If you're brave, you can get straight to cutting your fabric, but I drew out this plan of my measurements, adding seam allowances on each side and an extra 3.5" on the bottom. The extra 3.5" gets folded and sits underneath the waistband of the trousers, so you may want to adjust this measurement depending on the depth of your waistband. 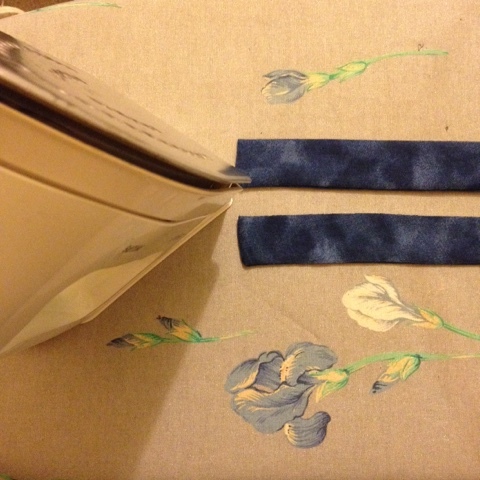 Apply a strip of interfacing to bottom 3.5" of your bib. This will provide stability when you sew in button holes later. Turn the sides of your bib in by about 0.7cm and press. Turn them in on themselves again, pin and stitch. Do the same with the top edge of your bib. 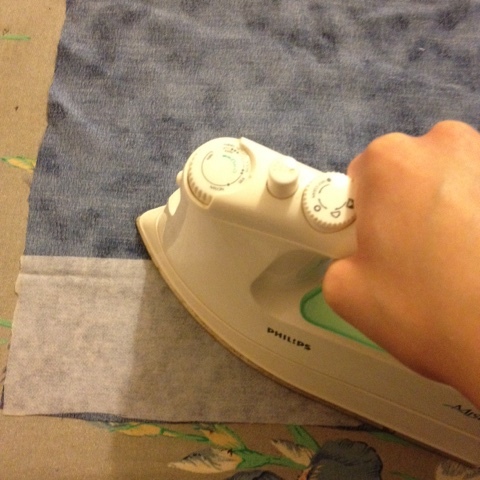 Press the bottom seam allowance to the wrong side of the bib. 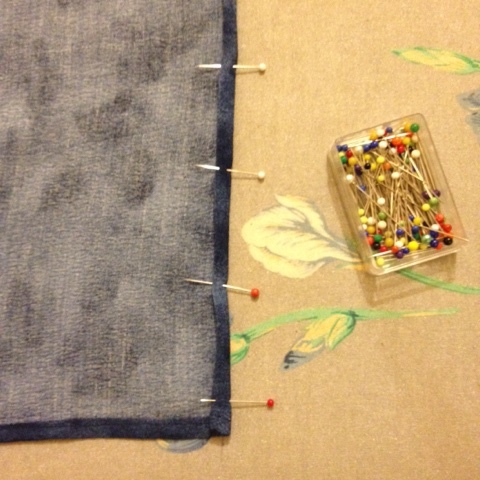 Fold along the fold line - wrong sides together - and pin in place and stitch. 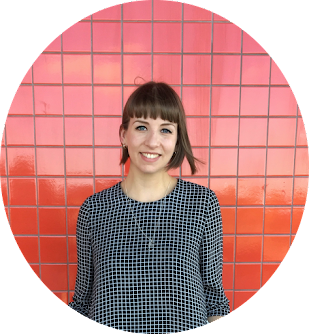 The bottom of your bib should be quite sturdy, with your interfacing encased inside. 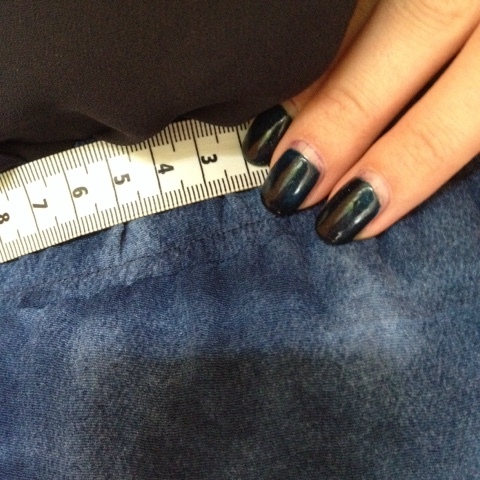 Cut two long lengths of fabric, twice the width that you intend them to be, (remembering to add a seam allowance). I based mine on the laces from the Kielo Wrap Dress which are 3.25cm wide when finished. My finished braces are 66cm long, but I found it easier to cut them quite a bit longer so there's a bit of wiggle room for adjustments later. Fold each lace, right sides facing, pin and stitch one end and side. 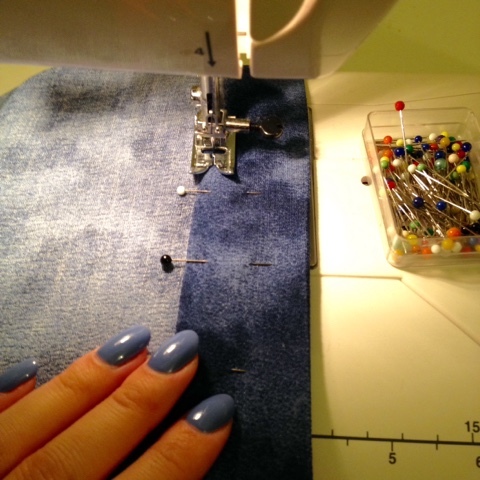 Trim your seams, turn out and press. 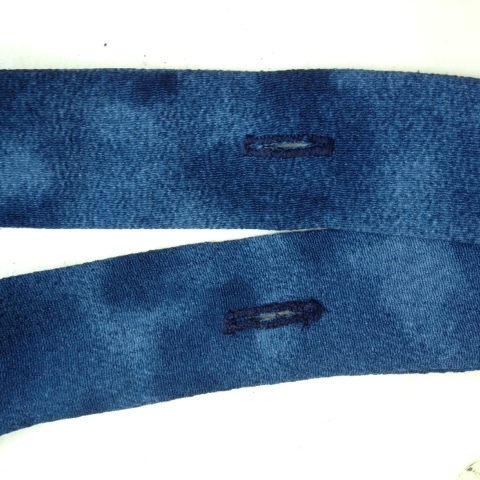 Pin the finished ends of the braces - one at each corner of your bib - and machine stitch them in place. 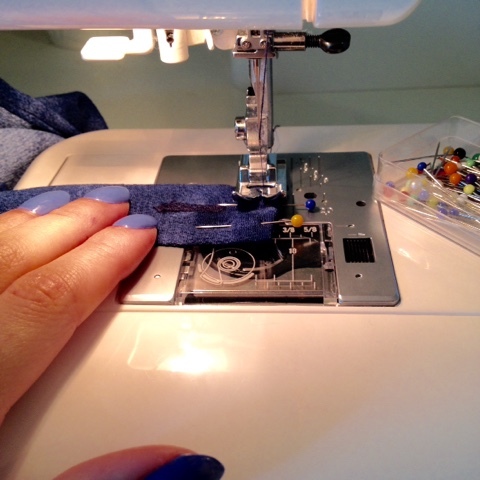 Following your machine's instructions, sew button holes on the bottom interfaced panel of your bib. 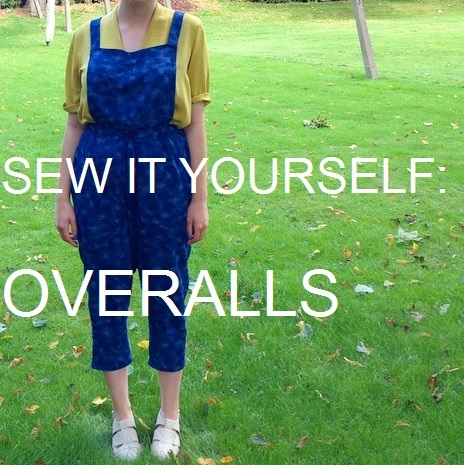 I chose to do 3, but you might want to do more depending on the width of the bib and the fabric you use - no matter how many you do, I'd recommend always having a button hole at the centre front. 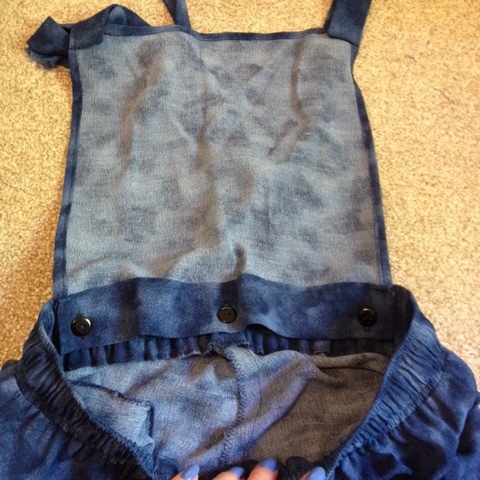 Sew buttons to the inside of your trouser waistband to correspond with the button holes on your bib. If your waistband is elasticated like mine, you'll need to try the trousers on to work out where your buttons should be positioned once the elastic is stretched during wear. Try on your trousers with the bib attached and find a comfortable length for your braces. 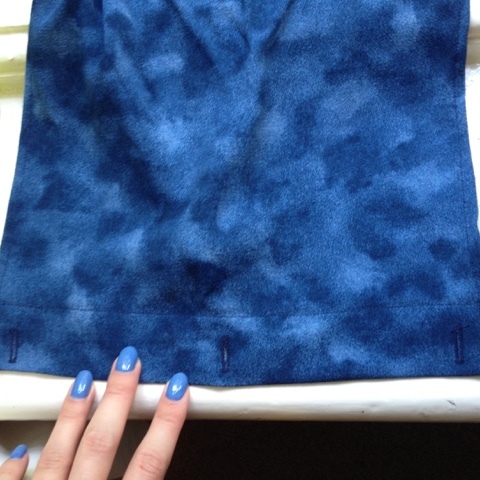 Cut them to length (plus a little bit extra for seam allowance) and sew a button hole close to the end of each one. 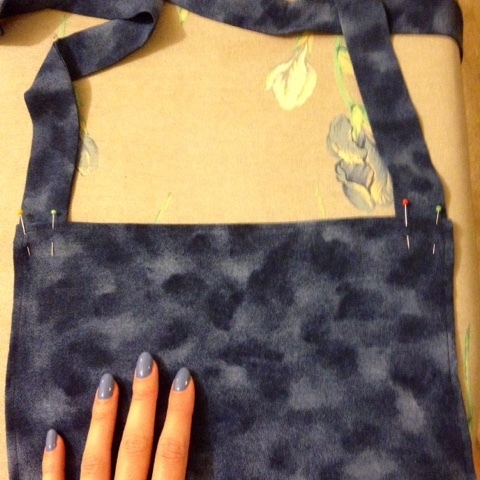 Turn the raw edges inside, pin and top stitch closed. To attach your braces, sew 2 buttons to the inside of the waistband of your trousers. I measured mine so each sits 6cm from the centre back. 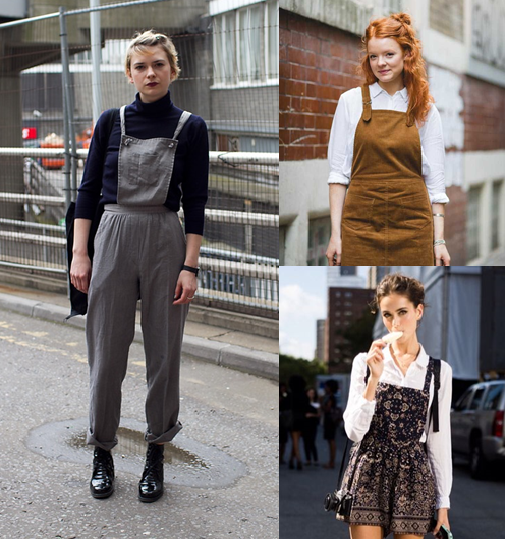 Button your bib and braces in and out for a multi-functional garment. My boyfriend kindly waited till we left the house to tell me that I look like a minion when I wear mine with this yellow blouse - minion colour combo is optional.